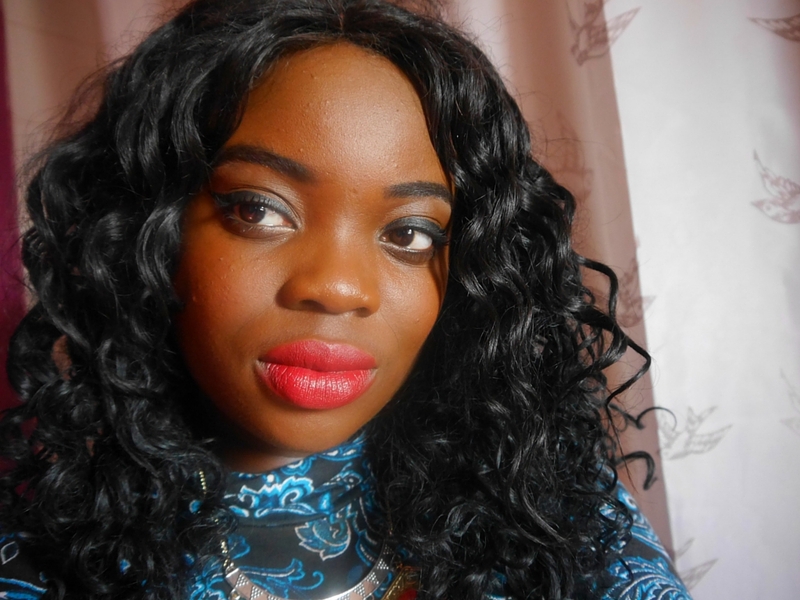 So I am loving all things beauty, says the former fashion blogger. 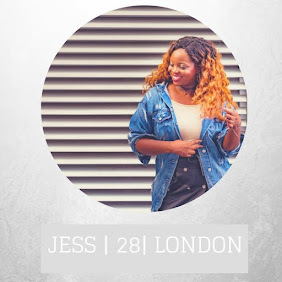 Well I obviously blog about fashion and lifestyle, so I am officially an FBL Blogger, pretty convenient since I started FBL Bloggers. 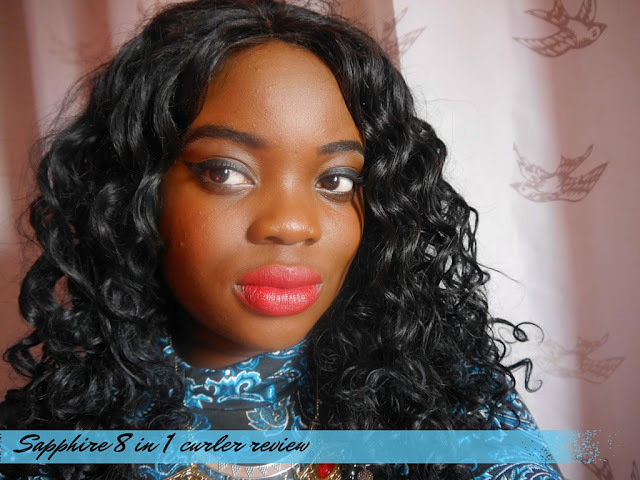 A while ago, I was sent the Irresistible me Sapphire 8 in 1 curler. I decided to do an un boxing post first, and then spend time testing the wand, as I wanted to do an unbiased review. If you want to hear about my un-boxing of the wand, click here. As many of you know, I wear weave and I talk about it a lot via my Twitter, and showcase my changing styles on my Instagram account. So obviously, this tool will work well on your natural hair, and it works for human hair weave, too. I thought it was important to highlight this, as many of my girls out there that love a weave, don't want it burning. I used the third barrel in the picture, to blend my closure with the rest of my weave. I have a Virgin Peruvian body wave closure, whilst the rest of my bundles are human hair (master mix synthetic and human hair) curly weave. I couldn't find the right closure to buy, so just used my body wave one and curled it to blend. Now this product is based in the USA, so I had to use this plug converter to get it to work. The kit come with gloves, which you can use to protect your hand, but as I am a G and a little heat doesn't faze me, I didn't use it, to achieve the above look, I took small sections of my hair and curled the hair towards me, held for a few mins and then let it go. The whole thing took about 10 mins as I was only doing my closure. 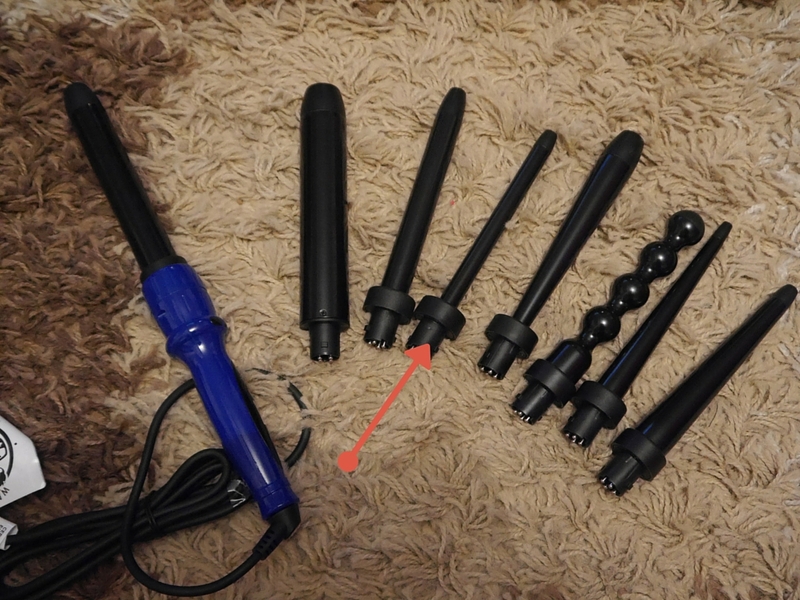 I really like this curler, it comes with a variety of barrels, so you can achieve a variety of looks. I only used the thin one in the pic, and I am yet to use the others, but I am sure it will help me achieve my desired look. I love that the curler heats up quickly too, which is good cause I am impatient! I wish that the device was sold in the UK. Finding an adapter was ok, but the plug pops out every now and again. Overall, it was well worth the money, and I highly recommend you purchasing it. Thanks to the guys over at Irreisitible me for sending this through. I am going to be wearing natural hair clip in's this Spring/Summer as I am so done with weave atm. Let me know if you want me to do hair reviews too. Tasha the 5th barrel confuses me.